The Monte Carlo country club located in Roquebrune- cap- martin, France has some of the most dazzling views of the Mediterranean Sea that surround the courts situated on the French coast. The courts are actually neither located in Monte Carlo nor Monaco, but outside Monaco’s northeast border. Generally, before the French Open, the Monte Carlo Masters is played here. The resort here serves as the base for the Monte Carlo Tennis Academy. 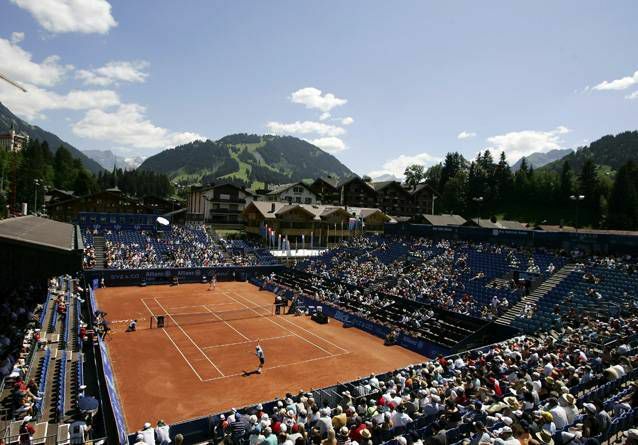 Located in Gstaad, Switzerland, and middle of the breathtaking Swiss Alps, the tennis court is named after Australian Roy Emerson who had an outstanding record of winning 28 Grand Slams title in both singles and doubles. Here, week-long tennis programs are run. Here, visitors can play tennis for up to five hours a day in stunning scenery at an elevation of 3000 feet. The rigorous program combines the intensity of training with the scenic beauty of nature. Situated in Antigua, Caribbean, the four impeccable scenic tennis courts at curtain bluff resort are merely a few steps away from the beach. The courts are surrounded by bright white sand and beautiful palm trees. 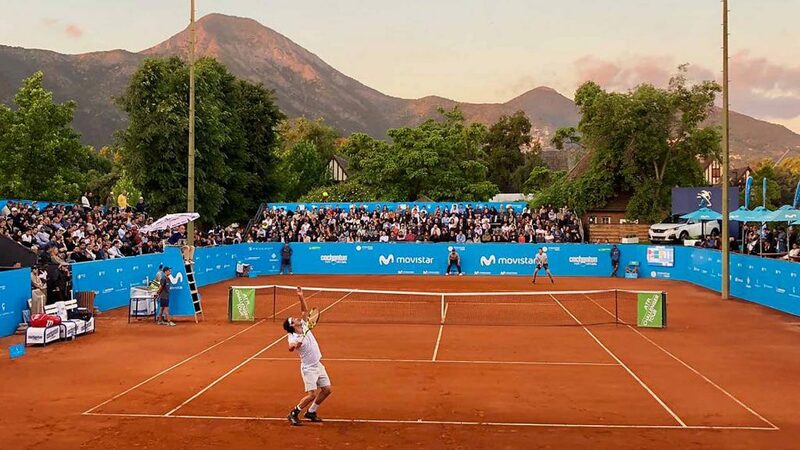 The resort offers a team of tennis coaches along with some big-name players of the game. It is so close to the beach that you can jump into the sea after intensive training. You can swim, kayak, sail, and snorkel on the nearby reef. This is the right place for you if you tend to enjoy quiet beaches, peaceful surroundings, and friendly islanders. 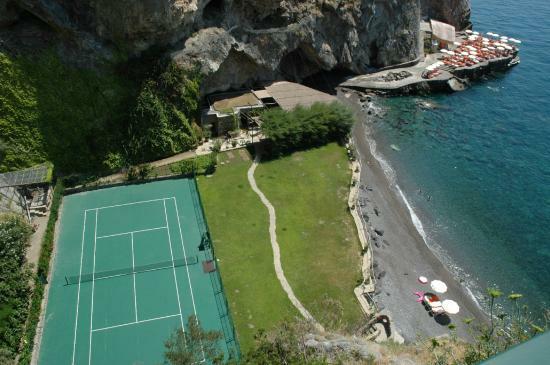 Located in Positano, Italy, the tennis court is carved in between the towering cliffs on the beach near the Church of Santa Maria Assunta. The tennis court is situated alongside the beautiful Mediterranean Sea. Visitors after succumbing from a difficult tennis match can cool off by enjoying the private beaches and relaxing resort activities such as kayaking and sunbathing. The Infinity Tennis Court of James Goldstein residence is located in Los Angeles. The court is nestled along the hillside and peaking onto the Western horizon and is separated from the L.A skyline by a small 42-inch glass partition. The private and luxurious court has played host to big CEOs and other famous personalities. The court has appeared in films as well.